When injuries have occurred, personal injury compensation may be awarded. Firstly, there are the statutory benefits which may include work compensation, hospital and medical expenses and rehabilitation expenses. There may also be other out of pocket expenses covered. Secondly, there is injury compensation of a non-statutory kind. 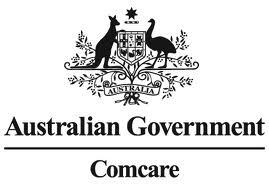 This compensation is under common law and entitlements vary between States and Territories across Australia. The way the legal system works means you may be worse off because of where your accident took place. Adversely, you may be better off if it happened in a particular State. In some parts of Australia thresholds apply. The extent of the injury may have to reach a percentage of impairment threshold in order to qualify. A common law claim is a lump sum larger than a statutory work compensation payment. Injured workers usually go to common law when they have a serious or permanent injury and if it was preventable had the employer taken the right preventative steps. Negligence and economic losses need to be clearly proven. As a case example, a cyclist suffered injuries to his back and knee when he was hit by a taxi driver. He worked in and had owned several bicycle shops. He would never be able to work again or run a shop again of his own. Proving economic losses was a little difficult. The plaintiff relied on evidence from an accountant to present the Court with two situations. One scenario was where the plaintiff had owned a bike shop for the rest of his working life and the second scenario was if the plaintiff had worked in a bike shop for the rest of his working years. This hypothesis helped to determine his future economic losses. The plaintiff also claimed for gratuitous care as his wife was caring for him. The outcome of the case was that the cyclist was awarded injury compensation under common law. The plaintiff was awarded for economic loss, which was less than requested and the gratuitous claim was rejected as there was insufficient evidence that the wife had been providing care for 6 hours each week. Suffering injury at work can be quite frightening experience and it can happen to anyone. A serious injury may result in unemployment and can have a serious impact on a family in many ways and can affect a family financially. If you have suffered an injury and need quick independent advice, call: 1800 006 766. There are many different types of injuries that can occur in the workplace but who is the most at risk? It’s no surprise that physical jobs are high on the list. Labourers run the highest risk with the highest incidence rates of serious injury. 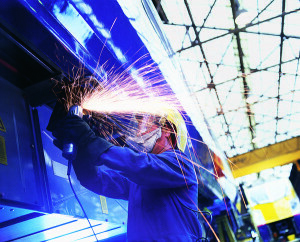 Production workers, transport workers are also considered high risk as well as trades persons. The most common work-related injuries are sprains and strains which accounts for 42% of serious workers’ compensation claims according to the Key Work and Health and Safety Statistics Australia 2014 report by Safe Work Australia. Diseases too were a big factor but in many cases it is difficult to link the disease directly to the workplace. 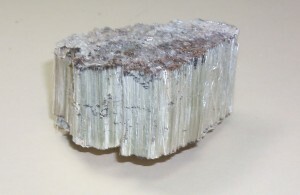 There were several hundred deaths by Mesothelioma a disease caused by exposure to asbestos. The report also looks at injury rates by industry. The agriculture, forestry and fishing industries had the highest incidence rate of serious injury for many years. Second to that was manufacturing and transport. Getting the right advice early on will help injured workers become more aware of their legal options following an injury. If an injury has put a person out of work what about those lost future earnings? What about the lost Superannuation? These have been taken away because of the injury and need to be considered when negotiating and settling a claim for injury compensation. A law firm or independent lawyer may be worth their weight in gold if you have suffered a permanent or serious injury and when someone has been negligent. You may receive a much larger lump sum payout that does consider future economic losses as well as all the past and present out of pocket expenses and losses. Contact Work Compensation an independent helpline today and ask all the questions you need to. You can get the forms you need, a free case review, fact sheets and general information. The service is free to use call: 1800 006 766 sooner rather than later as strict time limits apply. If you need legal advice Work Compensation will arrange this for you with a recommended lawyer who specialises in the right area of law; personal injury law. If you have been involved in an accident at work, or have suffered a work related injury and are unsure what to do, your employer or colleague will have a procedures manual they can refer to and will know the correct procedures to follow. Paperwork will need to be completed and this needs to be sent to the work compensation insurance company I.e. Work Cover. When the work compensation insurer receives these forms your claim will be filed and you will be assigned a worker’s compensation case officer whose aim is to get you back to work and assist you with rehabilitation as much as possible. You may be off work for a period of time and during this find entitled to work compensation benefits. The benefits might include wages paid, medical expenses paid or any other out of pocket expenses that are related to the injury. When your injury has stabilised the work compensation case officer will arrange a medical examination to get the all clear to return to work. With injuries that are serious and permanent some people may not be ever be fully rehabilitated and may have to live with their permanent injury for good. If this is you we advise you to contact our helpline on 1800 006 766. At this point the workers comp insurer will want to get you off their books and you may be offered a lump sum payment for your permanent injury. At this point it is really import at to seek a second opinion from a helpline or workers comp lawyer who can advise you to either accept the lump sum offered; or reject it and proceed to common law. A common law claim may be worth much more to you as it considers future economic losses as well as past and present losses. For example if you cannot return to work you will have lose a future income and this needs to be taken into account. If your injury could’ve been prevented somehow then someone may have been negligent and you may be entitled to claim work compensation under common law if your injury is permanent and as a result of this negligence. All circumstances surrounding the cause of your injury must be reviewed for a work compensation lawyer to determine who is negligent. Seek advice early on and don’t leave anything to chance. Be in the know, find out where you stand and what you options are and you can make informed decisions that may affect you and your family for the rest of your life. Call 1800 006 766 or click here to contact us today. If you have been receiving WorkCover benefits for a work related injury then your injury may be serious or permanent. When an injury happens at work your employer fills out the necessary paperwork to the work compensation insurer I.e. WorkCover. Work cover will assign an officer to you and monitor your progress. Their priority is to support your rehabilitation and get you back to work. In the cases of serious injuries it can take time to settle. When an injury has settled it means it is unlikely to get any better or any worse. At this point WorkCover will send you to s doctor to have the permanent injury measured. The doctor will make a recommendation as to what they believe the level of impairment is. They suggest this by way of percentage I.e. The left leg is impaired by 15%. Once the doctor’s report is received they may cut off your Work Cover payments. You may be offered a lump sum payment based on the level of impairment and you might think it’s a good deal. At this point it is vital you get the right advice from a work compensation helpline who can talk you through some legal options. Call: 1800 006 766 for free advice today. In some States and Territories you may have to request or arrange a medical legal assessment yourself and if you do have a permanent impairment you really should get legal advice regarding your entitlements and the appropriate procedures to make sure your receive an appropriate lump sum payout. You may either accept the offer of a lump sum payment or you can proceed to common law for a lump sum payment that could be worth much more to you. You will need to reject the offer to proceed with a common law work compensation claim. If you reject the offer, the upside is you will most likely get a much better payout. The downside is your WorkCover benefits (or other work compensation benefits) are cut off and you may have to take up CentreLink benefits until you are awarded you’d claim for work injury compensation. Always seem the advice of a work compensation helpline of a work cover lawyer before you accept or reject an offer of a lump sum payment. Accepting an offer may mean you sign away your rights to a further claim and it is extremely important you get advice at this stage. You may be signing away your right to a common law or negligence claim and this could be detrimental. Always get the right advice so you can make the right decisions. You don’t have to understand the law but you need to understand how the law relates to your situation. Get the right work compensation advice today as strict time limits do apply. Call: 1800 006 766 for free advice today. Experiencing a work place injury can have terrible consequences not just for you but a work injury also affects your family and friends and also may affect your finances in a huge way. Seeking a claim for injury compensation is recommended and not just for this reason but many others some of which are discussed in this article. If you are in two minds about whether or not to pursue a work injury compensation claim this article may open your eyes as to why making a claim not only makes a difference to you can also make a difference in other peoples’ lives too including your work mates. Why should you be compensated? Work Compensation is your legal right and your employer has work compensation insurance as it is a legal requirement. When you take the matter further and seek a common law claim for work compensation, it is important to remember that the insurance company i.e. Work Cover pay the claim and it doesn’t come out of your employers’ pocket. Many people are unaware of this and so they are scared to take the matter further. An injury can put you out of work for a long time and compensation should take the lost income and Super into account when awarding a lump sum payment. It is important to consult a lawyer or injury helpline before accepting an offer. It might be hard to think about the future and a lawyer can assist you with calculating future foreseeable losses and expenses and this includes any wages, salary or Superannuation you might miss out on because of your changed circumstances due to injuries. Injury compensation aims to reimburse a person for all expenses and losses and put a person back in the same financial position prior to the accident. This includes what wages or salary or possible bonuses you would have received over a course of time. Why should someone take responsibility? When a common law work compensation claim is settled it can bring a painful situation to a close and help you move on with your life. Also, the employer would have learned (we would hope) how to take better care of their employees through the prevention of further accidents of injuries occurring. A work injury compensation payout that considers future economic losses can help you adapt to living your life with injuries. You may be able to modify your home of vehicle to suit your needs amongst other things. There are many things that people don’t know about work compensation. Subjects like work compensation for work place injuries don’t get talked about enough and knowledge and awareness is limited unless you happen to know of someone close to you who has been through such an experience. The journey is a painful one in many ways. Often the physical pain is accompanied by emotional turmoil and a person’s injuries may have a ripple effect on the entire family. Not being able to carry out everyday tasks like working, cooking dinner, shopping or looking after children may become a challenging or difficult task and some injured workers are unable to carry out such tasks. This inability to continue life as normal can often send injured workers into a downward spiral affecting them psychologically. Debilitating injuries can also have a negative impact on relationships. Grieving a life you once had is only just the beginning. Dealing with being on work compensation can also be a difficult experience particularly when your pay is reduced to half and when you are cut off completely. Often an injured worker is offered a lump sum payment for a permanent injury and because of the financial struggle they are inclined to take it. When a lump sum payment is accepted it may mean the end to any further rights to claim. The amount offered my not consider any future economic losses and might be a lot less than that to which you are legally entitled to. It is wise to NEVER accept a lump sum payment until you have spoken to a Work compensation helpline or an independent lawyer. If you are entitled to much more in work compensation then you can find out there and then by getting a second opinion. A lump sum offered by a work compensation insurer might sound good but there is a good chance it will not be everything to which you are entitled to. Get the right information and find out your rights and entitlements to work injury compensation by seeking the knowledge that may put you in a much better position. The purpose of injury compensation is to put a person back in the same financial position that they were in prior to the accident. Compensation is a persona legal right. The severity of an injury and where an injury took place will impact a person’s work compensation payout. There are sometimes negative attitudes towards those who are on work compensation or who make a lump sum claim in the form of injury compensation. Injuries and illnesses can be extremely detrimental in a person’s life causing all kinds of issues. As well as physically, it can be a painfully emotional time for a person and their families. Then there is the financial stress of not working and not getting paid on top the other worries of will I get better or when will I be able to go back to work if at all?. Isn’t it about time the attitude of ‘Ambulance chaser’ or ‘someone on benefits’ stopped? 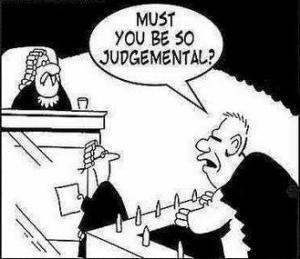 These ‘judgers’ have no right to judge and obviously have no idea. Have they ever suffered an injury at work? We are thinking probably not. While I would never wish an injury upon anyone I do believe that fellow colleagues and people in general shouldn’t be so narrow-minded. Instead of thinking in such a black and white way how about we all use some empathy? Perhaps they think the injured person is somehow ‘lucky’ to be off work and getting paid for it. This attitude is appalling and narrow minded to say the least. How could anyone be jealous of someone who is suffering? It is simply crazy. People who claim compensation deserve to be compensated. We spend many years of our life at work and have a right to safe working conditions and compensation for any injuries sustained at work. If your house was robbed would you put a contents insurance claim through? Of course you would, as that is the purpose of insurance. At work the work compensation insurer i.e. WorkCover pays the compensation it doesn’t come out of an employer’s pocket. People’s lives and people’s health and well being is far more important than money or possessions or the cost of an insurance premium. Employers have work compensation insurance to protect the worker and the employer and to make sure an injured worker receives benefits such as re-imbursement of expenses and losses such as wages or a salary. Injury compensation is a person’s legal right. If these laws did not exist work conditions may be worse. In many cases injuries at work could have been prevented with better equipment, training or working conditions. If an injury could have been preventable somehow, then the employer may be deemed negligent. A claim for negligence is a separate claim outside of statutory work compensation that compensates workers for serious work injuries. The sort of people who judge those on workers comp benefits is probably the sort of person who judges anyone on any kind of benefit like unemployment benefits. Instead of thinking what a shame they can’t get a job they automatically think they are some sort of beach bum who doesn’t wish to work. While there will always be a small minority of people who milk the system most people are just like you and me. Hard working, doing an honest day’s work, and providing for our families. 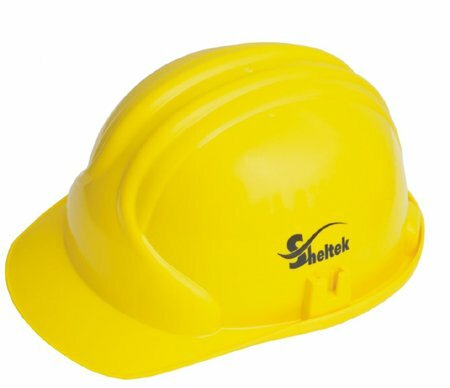 Examples of such cases include safety harnesses, hardhats and other safety clothing that must be worn in certain areas during certain tasks. Negligence is far from black and white for every case is different. It may seem there wasn’t any negligence but when an accident is ‘preventable’ there may well be some negligence present. Employers have duties that may not be obvious and it is the job of a good lawyer to determine whether or not there has been negligence and who is deemed negligent. Discussing negligence with an employer is generally not recommended. Speaking to an independent party such as a work compensation injury helpline or a reputable lawyer is recommended. What you need is an independent and unbiased review of your situation and the circumstances surrounding your accident. Getting to the bottom of the cause of an accident will determine where the negligence lies and who may be to blame or at least partially to blame. Even if you think a work accident is your fault, never take the blame until you have discussed the accident with an independent party. There may be other factors that contributing to gthe accident occurring that had nothing to do with you. When you have had an accident always seek the advice of an injury helpline. They will put your mind at ease in terms of what you need to know and what you need to do. You will also find out where you stand legally and what work compensation you may be entitled to under the law in your State or Territory. Get the right advice today call 1800 006 766. Do lawyers need to be involved following a work accident? If you have suffered in a work accident having endured work injuries or perhaps been involved in a car accident on the way to or from work, you may be entitled to injury compensation. Depending on your specific circumstances you may or may not require the services of a lawyer. Call: 1800 006 766 for free advice today. Many of the people who contact the Work Compensation helpline have suffered an injury at work that has become ‘permanent’ or ‘debilitating’. In many cases, the work injuries have occurred as a result of someone else’s negligence. Negligence is a complex area and often only a lawyer can clearly determine who was negligent in situations of accidents as many factors need to be taken into account. Negligence can sometimes be shared between parties i.e. a worker and employer may be partly to blame for an accident occurring. If you have suffered and injury it is important to get advice even if you feel the accident was your fault. A lawyer can ask all the right questions to get a clear picture of where the workplace negligence lies if at all. There are statutory entitlements and non-statutory entitlements. Non statutory entitlements are usually available outside of standard work compensation and the services of a lawyer are recommended in such cases. When an injury is permanent, you may need to recover losses. This isn’t just referring to out of pocket expenses, it may also refer to future economic losses if the work accident has affected future earning capacity. For example, if a worker is unable to return to work following a work accident they may not be able to earn the same income again. The work injuries have affected the workers future income and this is considered a future economic loss. If you have suffered a work accident and are unsure of your rights and entitlements to compensation contact Work Compensation and obtain free information, forms and advice that may benefit you and help you understand your rights, the law and where you stand legally. A reputable lawyer would never take on your claim if it wasn’t in your best interest to do so. An injury helpline can recommend the right lawyer who will give you up front honest and practical advice. Taking a case on a no win no fee basis means you can engage the services of a lawyer and at a low risk to you. Be careful of any no win no fee services agreements and understand everything carefully before accepting their no win no fee offer. A work mpensation helpline can assist you in this regard. Call 1800 006 766 for independent advice today. Do you always qualify for work compensation with every single work injury? 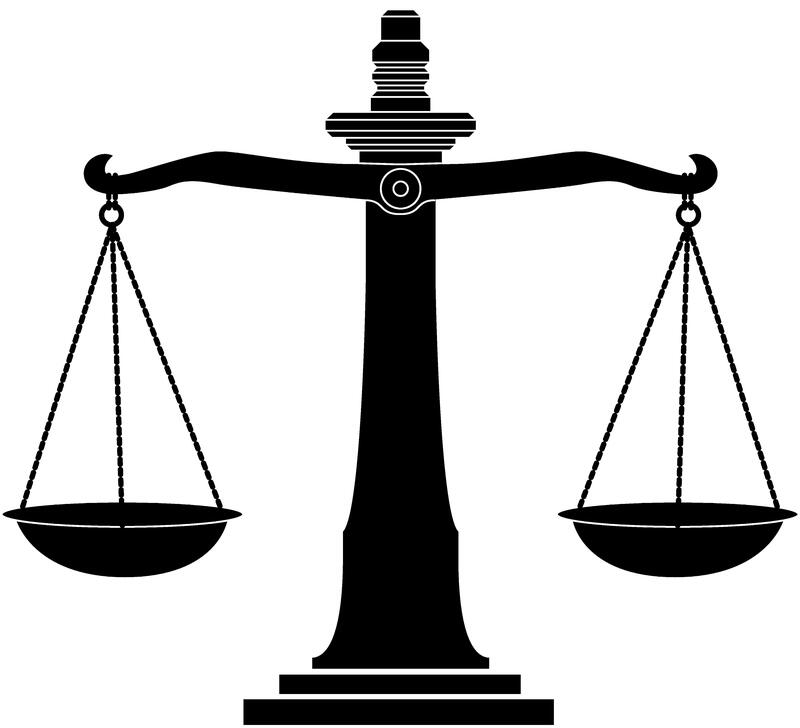 Work compensation cases are very rarely black and white. The main reason for this is due to the fact that legal entitlements to work compensation vary so considerably between each State and Territory across Australia. While work compensation benefits are often awarded for all workplace injuries in some way or another, how serious an injury is will also have a significant influence on whether or not a work injury qualifies for work compensation in the form of a lump sum payment. A lump sum payment is an additional payment sometimes awarded outside of statutory entitlements. A non-statutory claim requires legal advice and legal representation in order to maximise the potential of a claim. As all ready mentioned the severity of an injury and the circumstances around how the injury happened will influence entitlements to compensation. For example if an injury could have been prevented or an accident avoided, you may also have rights under common law. It is important to never accept an offer of a lump sum payment UNTIL you have received legal advice or spoken to an injury helpline. Once you have accepted a lump sum payment from the insurance company i.e. Work Cover, your rights may be signed away too. Get advice before signing anything. The place in which your injury or accident took place has a real influence on the outcome of your claim. In some Australian States you may have better rights to compensation than others. In one State you may not qualify for a lump sum payment but in another you will. This is sad but true! In terms of negligence you may or may not be entitled to a negligence claim. In any case, negligence needs to be clearly proven and an injury threshold may be in place and apply depending on how and where your injury occurred. How your injury has affected your life will influence you claim in a big way. The main purpose of compensation is to reimburse you for losses and expenses but if there are significant future economic losses you may also be awarded to cover those losses too. This type of situation usually occurs when a person cannot return to work due to their injuries or have to take a job on a lower wage. Get advice on your compensation payout so you can make an informed decision. Does work compensation come from every work injury? Work compensation can be a grey matter when it comes to legal entitlements. The Work Compensation Helpline are ready to take your call on 1800 006 766. They can help clear up any questions you have relating to your claim. There are FOUR main reasons for this;- the various laws in different States and Territories in Australia, the severity of injury and the circumstances surrounding the incident and whether or not the injury could have been prevented. If a person has all ready accepted a lump sum payment from the insurance company i.e. Work Cover, then the rights to a further claim may be lost. Where your injury took place makes a real difference to the outcome of your claim. In some parts of Australia you may have more rights than others. Every State and Territory in Australia has a different set of laws relating to work compensation. 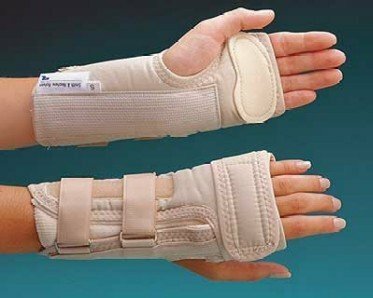 The general rule of thumb is if you have been injured at work or if your general health and well being has suffered because of working, resulting in you have to take time off due to a work related injury or illness you will be entitled to work compensation under the law in the State or Territory in which it occurred. Reason two: The severity of your injury. In some part of Australia you may be entitled to a work compensation claim known as a common law claim. However, depending on where you live you may or may not be entitled to a common law claim (or negligence claim). If you are entitled negligence needs to be clearly proven and injury thresholds may also apply. How serious your injury is will impact on your work compensation claim entitlements. If your injury is permanent or debilitating you may be entitled to a lump sum payment. A lump sum payment is often offered when an injury is serious and has completely settled. The level of impairment is then suggested by a work cover doctor. The percentage of impairment suggested may impact you ability to claim if thresholds are high. At this stage it is important to get advice from a work compensation helpline if you disagree and want an independent report carried out. One doctors’ opinion may be different to another. There are many factors that need to be reviewed when assessing a work compensation claim or any type of injury claim. How and why your injury happened will have a great impact on your injury compensation payout. If you have signed and accepted a lump sum payment there is a good chance you have ended your right to a common law claim. If you are offered a lump sum payment it is very important to get a second opinion before signing or accepting any offer of compensation from any insurance company. To find out more about what an appropriate lump sum payment is for your injury contact us today on 1800 006 766. Is there a work compensation law firm to help fight for a Work Cover claim? Work Cover is compulsory work compensation insurance that has the purpose to protect the employees of an organisation working in Australia. Work cover not only protects an individual from injury and/or illness while they are carrying out their day to day tasks but also cover them when they are getting to and from work. Did you know that if you have been injured at work that you may be entitled to make a Work compensation claim? • A weekly compensation (to cover loss of wage). If an injury or illness is serious enough to warrant work compensation a medical certificate from a doctor is required to support any given claim. What if my work accident happened as a result of negligence? If the incident occurs at work is a result of negligence (where you may or may not be at fault) you may still be entitled to work compensation. For this reason if you are injured at work it is always strongly advised that you consult a work compensationlaw firm. Why should I contact a law firm? Contacting a law firm is the first step you take to obtaining work compensation. Finding a law firm with the right speciality can be a hard task and choosing the wrong law firm can leave you without any form of compensation for your injury. For this reason it is best to contact an injury helpline who can connect you with highly skilled legal advice that have expertise for your personal situation. How will I ever afford a lawyer at a law firm? The concern about whether you can or cannot afford a lawyer this is not an issue when dealing with Work Cover. A Work Compensation hotline offers to find you free legal advice with the terms of no win no fee. This removes any unnecessary stress on your finances at this difficult time. Are Work Cover claims getting harder under the work compensation schemes across Australia? When you have been involved in an accident at work or suffered injuries on the job, you may need to find a lawyer or law firm to help you settle a claim out of Court. Finding the right lawyer for your accident injury claim can be tough but it needn’t be. The Work Compensation helpline will assist you by arranging a free case review and free legal advice if required. As an independent organisation they will give you the facts plain and simple. They will assist you with forms. If you need any legal advice they will connect you with one of their recommended and approved lawyers who practice in the correct area of the law and practice under the law in the State or Territory where the injury occurred. The Work Compensation laws across Australia are different in each State and Territory. Your rights are assessed on a case by case basis. When it comes to legal entitlements a workplace injury lawyer will need to know all the ins and outs. The law of negligence refers to when someone else is to blame for an injury. It may also mean failure to prevent an injury. If an accident or an injury could have been avoided or was preventable then it needs to be determined whether or not a reasonable effort was made to do so. Even it a party was partially at fault, they may be contributory negligent. When the questions arise regarding a permanent injury, a lump sum payment may be offered. If a serious or permanent injury is as a result of negligence it is extremely important to seek advice regarding the offer. This is why people need to seek advice from an independent accident injury helpline . A helpline will offer free information, arrange a free case review. An accident injury advice line will offer a legal advisory service and state your options and entitlements clearly. You may be entitled to much more that the statutory work compensation benefits if your injury is likely to be long term and happened because of someone else or if there is full or part negligence present. Never aim to determine negligence yourself this is the job of a workplace injury lawyer. Asbestosis is a progressive and irreversible lung disease that causes a number of serious health conditions such as cancer, pulmonary hypertension and heart attack. Asbestosis is a disease that threatens a person’s lifestyle and lifespan. For sufferers of asbestosis, Asbestosis compensation claims are available through work compensation i.e. Work Cover. To find out more about asbestosis compensation claims call 1800 006 766 for free advice. Asbestosis is a chronic pneumoconiosis disease in which the parenchymal tissue of the lungs undergoes slow and repetitive fibrosis, or scarring. 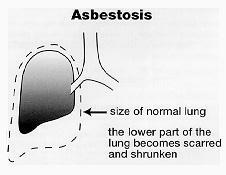 Asbestosis is caused by the inhalation and retention of asbestos dust or fibers. Asbestosis has claimed the lives of many. Those most at risk are people who have had long careers in the mining and manufacturing industries. However Asbestosis also claims the health of those who have handled or removed asbestos from homes and offices. If you have any of these symptoms after exposure to asbestos please seek medical attention as soon as possible. Asbestosis is unpredictable and unfair; its progress is difficult to determine. For some it may take up to 20 years before symptoms appear. For others the disease can develop fully in seven years. For the unfortunate asbestosis can claim a life in as little as 13 years. This disease is undiscerning and unforgiving, many suffers may have to take on less lucrative jobs that are less demanding on their health and many are forced into early retirement. If you, a loved one or friend have ever been exposed to asbestos during your working life you may be entitled to asbestos compensation. How you got the disease needs investigating and treatment must be instigated immediately. The expenses can be ongoing and you need to be prepared for the heavy costs involved. We work with lawyers who specialise in asbestosis compensation claims and they can assess your eligibility for compensation. It is important that you make an asbestos compensation claim as soon as possible. Early intervention will help you receive the care you need so you can go on to live as full and rich a life as possible. Contact the Work Compensation helpline for more information and we can assess your entitlements to asbestosis compensation. Call 1800 006 766 today and find out your legal rights to asbestosis compensation claims. Suffering a work accident is a horrendous situation to find yourself in. Dealing with the shock of being out of action, having to recover and fear about the future it can become very stressful indeed. When a serious workplace injury has occurred there is a lot of fear surrounding the future particularly in relation to finances. Fear of not knowing if you will recover or when you might return to work, or even whether or not you return to work at all. Another fear many workers who have suffered a workplace injury is what their employer or their colleagues think about their claim for work compensation. People have their own opinion and attitude towards others who lodge a worker compensation claim for their workplace injury. There are negative attitudes from people who have never been in such a situation and these people have no idea what it is like and do not understand. Passing judgement upon others is unfair as well as un-empathetic. If a workplace injury could’ve been prevented or was caused by someone else’s negligence then you may be entitled to a negligence claim. This is a common law claim available outside of statutory work compensation. A negligence claim will consider future economic losses as well as past and present losses to date. Future economic losses might mean a loss of a future salary or loss of wages as you are unable to return to your job. It might also include the cost of having to re-train for a future career or employment. It might consider all the expenses that lie ahead such as medical equipment, wheelchairs, chair lifts, home and car modifications and so forth. Caring what other people think won’t help you rebuild your life. Do what you know is right for your own well being and your future. 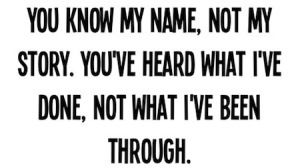 If colleagues are judging you then try to help them understand what you are going through. You certainly don’t need to justify your reason to claim injury compensation to anyone. It is none of anyone else’s business but yours. Claiming compensation is your legal right. Under the lawyou are entitled to such an award and deserve to be compensated. Another fear many people have is what their boss will think of them. It is important to remember your boss has compulsory worker compensation insurance such as Work Cover. This means when you lodge a claim the insurance company pays out and not your boss. You boss does not lose in a financial sense. This is why he has insurance, to cover expenses and losses protecting his business as well as his employees. Again you may get some employers who take an injury compensation claim from an employee personally. This is ludicrous. An employer should care more for their employee’s welfare than they do about an insurance claim. For further advice, forms or information on work injury compensation call 1800 006 766. If you need legal advice our helpline will connect you with a lawyer. When a work injury occurs, it affects the injured worker on a number of levels; financially, socially and mentally. Injuries which are debilitating or permanent can impact a person’s life in unexpected ways causing upset and turmoil for themselves and those closest to them. If you have been involved in a work accident and would like to speak to an injury helpline call: 1800 006 766 for information, forms and free advice. If you cannot return to work for a period of time, you will be entitled to work compensation benefits. Work compensation is a compulsory insurance scheme in place for employers. When work accidents have occurred and a worker has been injured, the insurance company pay wages or salaries when an employee is away recovering. 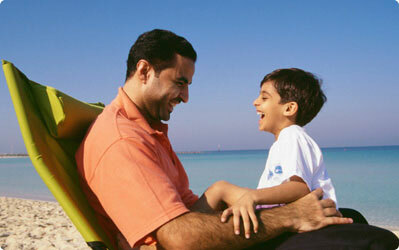 Your employer does not pay you while you are away, the work compensation insurer i.e. Work Cover does. If your injury is serious, you may not be able to return to work. In this case the work compensation insurer will have you attend a medical review to indicate the severity of the workplace injuries sustained. After a percentage of severity or impairment has been determined you may be offered a lump sum payment. This lump sum payment will cover your losses and expenses to date. It is very important to obtain legal advice before accepting a lump sum payment. Once you have accepted this may be the end of yourclaim and an end to common law rights. Not knowing how your injury will develop and if you will ever properly heal, can be extremely stressful. It is very important to keep in touch with your doctor and medical specialists and follow their expert guidance toward rehabilitation. Your health is the most important thing and should be a primary focus. Anxiety can also arise regarding finances. Alleviate the fear and anxiety by contacting an injury helpline who can explain to you how injury compensation works further along the track. You might be anxious about what your employer or your colleagues are thinking. You may worry they won’t believe you or think you are skiving off. These thoughts are negative and will not help you in any way. Let them go and focus on you and what is best for you. After all it is you who’s been injured and not them. They have no idea what you are going through. If an employer has been negligent or careless your injury may have been preventable. This is a horrendous situation and can cause a lot of anger and despair. It is disappointing when the standard of care and safety falls short. Employers have a great responsibility to ensure a duty of careand workplace health and safety. If an employer has been negligent don’t despair. Contact an injury helpline such as the Australian Injury Helpline for free advice, forms and support. They will arrange free legal advice if required or call 1800 006 766. If you suffer an injury as a result of negligence, you may be entitled to a negligence claim. A negligence claimor common law claim is also known as a common law claim. This type of claim is available outside of the relevant work compensation scheme and you will require the services of a worker compensation solicitor. Is the word ‘Sorry’ better than a Work compensation Lump Sum? When work accidents occur, is the word ‘Sorry’ better than a Work compensation Lump Sum? The answer is no. A sorry won’t pay the bills or supplement lost income. A sorry won’t put your life back to the way it was or put you back in the same financial position you were in prior to the work accident. A workplace injury can leave you with permanent scars, physical disabilities or psychological trauma. A work injury can turn lives upside down. For further information, forms or advice call 1800 006 766. It hurts when you’ve been let down, disappointed that there wasn’t better care to ensure your safety. Saying sorry doesn’t change the fact; your life may change forever. A workplace injury can affect you in a number of ways. Through work rehabilitation one would hope you are able to return to work and continue working in the same job. In many cases this isn’t so. Some workers are unable to return to work at all. Others are unable to carry out the same duties and their responsibilities need to change to accommodate the injuries. When it comes to worker compensation it is essential you get legal advice. The worker compensation insurance company for example Work Cover may not tell you everything you need to know. If there has been negligence they don’t exactly want you to pursue a common law claim. In fact they would rather you didn’t. Common law claims are awarded in the form of a lump sum payment for permanent injuries resulting from negligence. Negligence is a rather grey area and one that requires a professional legal viewpoint. Even if you believe the work accident was your own fault, you may still have rights if the employer had not shown an expected duty of care. Negligence is determined by a lawyer. The Work Compensation Helpline can connect you with a lawyer and the law firms we work with take cases on a no win no fee basis. When it comes to work compensation you really must be informed and get connected with the right organisation. The Australian Injury Helpline do a remarkable job assisting those who have been injured at work, on the road or in a public place. Their services include: free information and claim forms and they will connect you with professional solicitors who provide all helpline callers with free legal advice and a free case review. When it comes to worker compensation it is important to know your options and where you stand in terms of rights and entitlements to work compensation benefits. Remember strict time limits apply so be in the know today by contacting an injury helpline. Be informed, get connected – it’s free. Call 1800 006 766 or click here to contact us. Workplace Injuries and Work Accidents – Who is At Fault? There has been a lot of speculation recently regarding safety in the workplace to prevent workplace injuries and work accidents. If an employer is found at fault following a work accident the company safety standards may have to be reviewed and improved. This is essentially good as working environments are constantly changing and improving all the time. For more information on Workers Rights following a work accident call 1800 006 766. A typical nine to five day for many companies has become a thing of the past. Many companies are offering flexible working hours i.e. to suit working mothers and indeed to suit the needs of a changing lifestyle. Part-time work has also become common and this can lead to a higher level of productivity a high level of morale and a positive staff attitude. The number of hours an employee works may have an impact on a persons’ health and therefore overworking can directly contribute towards a workplace accident. In the cases of serious injuries where the employer is found to be at fault, a worker may be entitled to injury compensation under common law. Employers have a responsibility to train their staff and make sure they are fully aware of safety procedures and the proper conduct of what is expected of them. Serious injuries can leave workers unable to work, or unable to carry out their usual employee responsibilities. A worker might have to take another role within the company or even take another job. Some employees are not so lucky. They may never walk again let alone return o the workplace. Such cases are tragic and do happen. Companies and organisations working together with staff to ensure safety at work, is vital in order to prevent workplace accidents and workplace injuries from happening. If in the event of a work accident a worker is entitled to work compensation. When serious workplace injuries have occurred, it is a good idea to seek independent advice from an injury helpline such as the Australian Injury Helpline. Click here to contact us or call 1800 006 766. Work compensation can be complex and you need to be aware of your legal rights and entitlements. An employer or work compensation insurer i.e. Work Cover might not tell you everything. A helpline will offer an independent review and arrange advice if required. If you are unable to return to work due to a work accident you may be entitled to a loss of future income and it is important to seek advice. When a work cover claim has to be filed there is a fair amount to understand. Work compensation is far from black and white. Work Cover is a work compensation insurer. It is important to be well-informed from the start. Just being aware of the important facts can assist you putting to bed any feelings of unrest regarding your work cover or work compensation claim. It can often be difficult to choose which path to take when presented with your options. Not having a good understanding of the process can lead to doubt. For free information forms and support call 1800 006 766 or click here to contact us. One way to remove doubt is to discuss your workers comp claim with an injury helpline. You can obtain free information and gain a better understanding of your rights and protection under the law. No there isn’t plenty of time available for claims. In fact claims have strict time limits. Don’t hang around contemplating, call an injury helpline who can talk you through the process and what to expect. Decisions need to be made swiftly and with caution. Your employer might take the initial steps to process your work accident claim. However, you are the person who needs to be at the helm. Working with your designated rehabilitation officer to ensure progress is essential. Your boss is unlikely to get legal advice on your behalf for a workplace injury. Obtaining legal advice is something you must do of your own accord. 3. It was my fault because..
Never blame yourself and never make assumptions. All work accident factors need to be considered before blame can be assigned. Negligence is determined by a lawyer who will assess your claim with all its variables. Even if you are partially at fault for a workplace injury you may still have rights. Never assume you will be in trouble if you claim workers compensation. Your boss doesn’t pay workers comp, it is paid by the workers compensation insurer i.e. Work Cover. 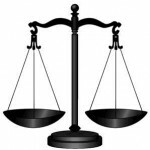 If you pursue a common law claim it is your legal right to do so. This compensation will assist you with any future economic losses resulting from your workplace injury. Your boss will be more concerned about your health than anything else, as most employers are. This is not wise and not recommended. If you are offered a lump sum you must speak to an injury helpline or a legal professional who can advise you to take it or reject it proceeding to common law. It is important to remember you have options. Sometimes our own thoughts and beliefs can block progress. It is important to believe you deserve this compensation, it will help you get life back on track and it is your legal right under the Australian law. For more information of to discuss your injury compensation claim with a lawyer please call 1800 006 766 or click here to contact us. When a work compo claim is rejected you are likely to feel upset, angry and disappointed. These emotions are completely the norm and understandable. You have suffered an injury and as well as suffering pain, you have financial burdens to deal with as well. These are just some of the feelings and scenarios a worker who suffers an injury has to deal with. So if you know someone who has suffered a work injury and never returned to work you know what they might be going through. The important thing to remember is that people have rights under the law. Work compensation is available to protect workers and employers when a work accident occurs. Rather than worry and stress and try to fight a battle with a workers’ comp insurer such as Work Cover you can contact an injury helpline for free information, support and forms. An injury helpline can refer you to a lawyer who can fight for fair on your behalf. Even if a work compensation claim is rejected you may still win the fight. You just need to get the right people with the right skills on your side to assist. Yes a work accident is awful. Yes dealing with debilitating injuries is horrendous. Yes having to cope with a rejected work cover claim is stressful. Reach out and seek all the support that is available to you. A legal expert can get you the compensation you are entitled to, to relieve the financial stress so you can focus on getting well. Work Compensation Finally Awarded for Hero Worker! When a worker does their best and performs well it’s all an employer can ask. However, when McDonalds employee Nigel Haskett suffered workplace injuries his employer refused to pay his work compensation. While on the job, a fight had broken out in McDonalds whereby a man had hit a woman. Haskett removed the man from the premises. 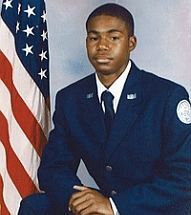 The man then shot him several times. He had quite possibly saved the woman’s life and had also protected workers and other customers from being injured. The reason for refusing to pay work compensation is because Haskett was injured outside of his scope of duties as reported by McDonalds. Defending a defenceless woman was not in his job description. Haskett was asking for $300,000 to cover his medical bills and initially they refused. However he appointed a lawyerwho rightfully fought and won his work compensation claim. The moral of the story is “Even if your claim is rejected it may still have a chance”. Quite often insurance companies offer low payouts, or no payout. Even WorkCover reject claims if not enough information is provided. You can contest the outcome with the right help. If your claim is rejected you can contact an injury helpline such as the Australian Injury Helpline. Rejected motor vehicle claims and Work Cover claims or negligence claims may still have a chance. Even if you have suffered a slip trip or fall in a public place you may still have a chance to win. A rejected claim does not necessarily mean the end. If you allow an independent party take a look they will be able to offer their opinion. You can have any decision reviewed by a lawyer who will ask a series of questions regarding your claim. If they believe you have good grounds to challenge the decision they will tell you so. An injury helpline such as the Australian Injury Helpline can connect you with a local no win no fee lawyer for free legal advice. Contesting the decision is certainly a way forward and possible light at the end of the tunnel. Haskett got justice and so may you, if the decision is revoked. Every situation has a fighting chance you just need to be connected with the right specialist who will ask all the right questions. Establishing negligence is the job of a lawyer. If negligence in not clearly established a claim may well be rejected. A no win no fee lawyer will prepare your claim in great detail with supporting documents and a list of scheduled items in which you are entitled to claim. A lawyer essentially builds your claim and this means, you have a greater chance of winning. To be connected with a lawer for free legal advice call 1800 006 766 . When cases are taken on a no win no fee basis, it means there are no up-front or ongoing costs. No win no fee offers peace of mind. You know you won’t end up with a big bill when your income is limited because of your injury. All running costs and disbursements regarding your claim are financed by the lawyer or law firm appointed. Some no win no fee arrangements may exclude disbursements. You do need to be wary of no win no fee arrangements as they are not always what they seem to be. An injury helpline will point you in the right direction with an approved recommended scheme. A slip trip or fall in the workplace can leave a worker with often quite serious workplace injuries. An employee may be off work for several weeks or months. If an employee has suffered a workplace accident, they are entitled to work compensation regardless of who is at fault. Usually in a slip trip or fall case, someone has been negligent. If a worker is making an injury compensation claim, it is also extremely wise to seek legal counsel. A work injury lawyer can offer invaluable advice making a real difference to the outcome of your case. If you have suffered a trip slip or fall at work, or in a public place contact us or call 1800 006 766. 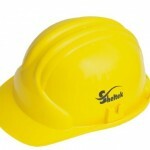 Finding solicitor waho specialises in slip trip or fall cases or indeed any workplace accident can be a task in itself. An injury helpline such as the Australian Injury Helpline can point you in the right direction. Helpline providers have a list of specialist lawyers offering free legal advice and take cases on a no win no fee basis. Falling off office chairs, scaffolding etc. Typical injuries from a slip trip or fall at work include sprains, broken bones, back injuries and head injuries. Such injuries can be permanent affecting a worker for the rest of their life. Determining negligence is the job of a lawyer. When it comes to determining negligence, no case is black and white. The right questions need to be asked of the right people and evidence needs to be gathered. To discuss your matter with a lawyer call 1800 006 766. Work compensation will cover all medical costs and the cost of rehabilitation and cover your wages or salary while you are away from work. An experienced work injury lawyer may be able to fight for much more than just past losses and expenses. An experienced lawyer may prepare a common law claim. A common law claim is a separate claim outside of workers comp in which a case for negligence is presented. If you are eligible to claim you may also be awarded future losses and expenses (or future economic losses). In addition you may be awarded a lump sum payment for your pain and suffering. A work injury lawyer can assist an injured worker by fighting for everything to which a worker is entitled. This may mean a greater amount of injury compensation is awarded as the future is also taken into account. Many work injury lawyers take cases on a ‘no win no fee’ basis. This usually means there are no up-front or ongoing costs. Be careful when choosing a no win no fee lawyer. It is always best to go with one recommended by an independent organisation such as the Australian Injury Helpline. Slips trips and falls at work can have devastating consequences. Quite often a worker can feel ashamed, embarrassed and feel it is their fault. 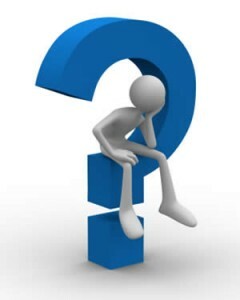 It is important to stop and ask the question – could this injury have been prevented? Why did it happen and is anyone to blame? 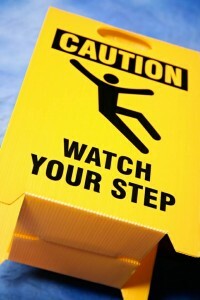 A slip trip or fall can happen to anyone whether at work or in a public place. Compensation benefits assist with recovery and losses past, present and future. If an injury could have been prevented there is negligence involved. Employers have a duty to ensure safety at work and when conditions have been unsafe causing an injury, this truth needs to be addressed. Remember, even if your slip trip or fall happened in the last three years you may still have rights. Never accept an offer of a lump sum from a work compensation insurer such as Work Cover until you have obtained independent advice from an injury helpline or work injury lawyer. For further information contact us on 1800 006 766. Maximising Work Compensation with a No-Win-No-Fee lawyer! Workplace accidents can occur due to a number of reasons. Causes may include overtiredness, unsafe or hazardous working conditions or staff not being equipped with the proper training or unaware of employee guidelines. In these cases the employer could be considered negligent. As an injured worker you are entitled to work compensation. Even if you have suffered a slip and fall or car accident on the way to work, you may still be entitled to claim. To find out your entitlements call 1800 006 766. Strict time limits apply so make contact as soon as possible after a workplace injury. The severity of your injury will influence the size of your injury claim. Even if you don’t think your injury is serious, a compensation lawyer will give you an idea of your legal entitlements. Work compensation benefits may be past, present and future losses. A work compensation lawyer will guide you through the entire process and you will be aware of your options every step of the way. Fighting for your work compensation rights! A lawyer or law firm will fight your workers compensation claim to make sure you are awarded sufficiently. Quite often, work accidents at are not caused by an employers’ negligence but by a fellow worker. If another employee has caused your workplace accident the employer could still be deemed negligent. Employees have to be properly trained and supervised and if they are not an employer could be perceived as negligent. If you or anyone you know has suffered work injuries you may be entitled to thousands of dollars in compensation. A no win no fee lawyer can talk you through your options. A no-win-no-fee lawyer won’t charge any up-front or ongoing costs. Fees are only payable at the end of the claim and only if your claim is successful. All expenses incurred through processing your claim, are covered by the lawyer or law firm appointed. In some States legal costs are paid in addition to compensation, either way you will be better off with a lawyer acting on your behalf. A no-win-no-fee work compensation lawyer, will obtain the maximum compensation in the form of a lump sum as quickly as possible. In most cases work compensation claims are settled out of court, negotiated directly by the lawyer with the work compensation insurer concerned i.e. Work Cover. Initially your case will be fully reviewed as every case is unique and assessed individually. You will be advised of your options and chances of winning your claim successfully. A no win no fee lawyer will indicate what injury compensation you are entitled to so you know what you are likely to receive. It is wise to contact an independent injury helpline for information on work compensation rights following a work accident. Dealing with the insurance company directly is not always recommended as they look after their own interests. If your injury is permanent and was preventable, you may be entitled to a negligence claim (or common law claim). If this is the case you will require the services of a no-win-no-fee lawyer. It can be a struggle to find the right lawyer. All lawyers specialise in different areas of the law and in specific States or Territories across Australia. An national injury helpline such as the Australian Injury Helpline select local lawyers to work with who will treat people fairly and respectfully and get the best possible result for you. A good no-win-no-fee lawyer will not take on your claim under a no-win-no-fee arrangement unless they believe you will win a sizeable lump sum. A no-win-no-fee compensation lawyer will know your entitlements under the State laws. Call 1800 006 766 for further information and a free case review today. Anger in the workplace can lead to all sorts of issues. If an anger issue is against the employer, this can impact all areas of the business. 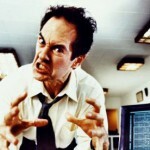 Through identifying anger in the workplace, problems such as angry workers or angry bosses can potentially be resolved through using anger management techniques. What are the usual signs of an angry boss? If he or she shouts or screams or is generally negative then they may be suffering from a serious case of frustration driven anger. An angry boss who bullies workers is a serious matter. This management approach may affect staff psychologically and an employer could be considered negligent. A worker may qualify for work compensation. A stress claim can be tough to prove and an employers’ conduct may be investigated. Are you an angry worker? Are you angry each day when you wake up to go to work? If you are, you may be suffering from suppressed anger, which may erupt at any time when triggered. 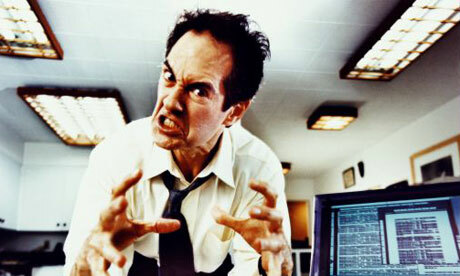 Everyday anger proves there is a problem and anger management can assist in overcoming regular expressions of anger. Getting to the root of the problem is a technique forming part of the program. Angry staff can contribute to the overall ‘energy’ and culture of a workplace. Notoriously the most productive staff are ‘happy’ staff or at least content. Being satisfied with their environment, colleagues, job to do and payment received, are all important factors. Feeling safe at work is also extremely important as feeling unsafe can cause fear, anxiety and tension in the workplace. 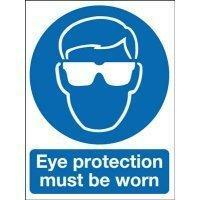 As employers have a duty of care it is their responsibility to ensure safe working conditions. Work Compensation insurance is compulsory in Australia and an employer must have Work Compensation insurance by law. This applies to all States and Territories across Australia. Work compensation will protect both the worker and employer. For example, if a worker is injured they require time off work to recover. In this case, the work compensation insurer (i.e. Work Cover) pays the workers’ wages whilst they are absent. The work compensation insurer may also offer benefits to workers such as hospital, medical and rehabilitation expenses and so forth. In the cases of a serious work accident resulting in a permanent injury, the Workers Comp insurer may offer a lump sum payment. This lump sum payment may be increased further if there has been negligence. If an accident was caused as a result of an employers’ negligence or the negligence of a fellow worker, the injured worker may be entitled to a common law claim. The Workers Comp insurer will also have to pay this and not the employer. If you have been injured or bullied at work contact us by calling 1800 006 766 today to find out your rights. It can be hard to speak up at work regarding work saftey when bosses are unapproachable. However, when it comes to safety your health, your life or those of others can be at stake. Unsafe working conditions are the major causes of workplace accidents in Australia each year. Many cases reported included losses of limbs, burns, back problems such as bulging discs, and RSI (repetitive stress injury or repetitive motion injuries) to name just a few. If an injury could have been prevented or avoided, the employer could be considered negligent. An employer has a duty of care as do employees while they are at work. To discuss possible negligence you can contact the Australian Injury Helpline on 1800 006 766 or contact us. If you make the suggestion to your colleagues they will most likely offer their support. This way if the change is applied they will be accepting of the change and be expecting it as a change for good. You may wish to organise a petition if you believe this will be useful. It may be a good idea for you and a fellow worker to approach the management concerned. The power of two is better than one and your request may be taken more seriously. When approaching management to request a change in working conditions, it is best to approach the subject tactfully and assertively. Going in with all guns blazing will put backs up and affect your relationship with your boss in a negative way. Bringing about a positive change comes from a place where this is a change for the better and good for all parties concerned. All parties may include workers, employer and customers. As a worker you are in a good position to make safety suggestions from a more hands on perspective. 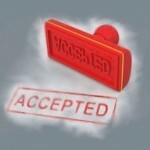 If your request is reasonable there is a good chance your suggestions will be taken on board. Ask your employer when he or she will get back to you with a response. A reasonable amount of time is 7-14 days. This gives you both a time frame to work towards. If you have put in a reasonable request and your request has been dismissed you may take it up with WorkCover or other Work compensation insurer. By making them aware you may be able to make the change indirectly. Unfortunately, work compensation claims not be; ‘plain sailing’. Once your injury has settled work cover (or other insurer) may want to get you off their books. This effectively ends your workers comp claim. They may do this by offering a lump sum payment. The lump sum payment offered considers current losses and expenses to date. It will not take into consideration any future losses or expenses. At this point it is very important to get independent advice from an organisation such as the Australian Injury Helpline. Depending on your workplace injuries, you may have other compensation entitlements. If work accidents are caused by someone elses ‘negligence’ whether fully or partially, you may be entitled to a common law claim. A common law claim is separate workers comp claim only available outside of ‘work compensation’. In one Australian State in order to move onto a common law claim, you must refuse the lump sum payment. Once accepted you will lose your right to a common law work compensation claim. In another Australian State you can move onto common law following acceptance of a lump sum payment. It is very important to get advice before accepting or rejecting a lump sum payments so your entitlements are unaffected. Workplace injuries which cause a permanent physical impairment, is assessed by a work cover medical professional. 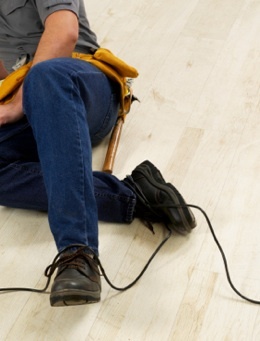 Your injury is measured and a percentage of impairment is given by the work cover doctor. This level of impairment is only their opinion and another doctor may offer a different assessment. You have a right to get a second medical opinion. Never accept any offer of compensation until you have contacted an independent work compensation organisation. You may or may not have common law entitlements but if you do you need to follow protocol. To find out what that protocol is, seek independent advice before you agree to, or accept any offer of work compensation. Contact a free helpline such as the Australian Injury Helpline who can assist. Negligence occurs when an accident or injury, could have been prevented. It can be difficult to prove negligence and it certainly isn’t as black and white as you would think. Many victims even think that they were to blame for the accident because they were ‘tired’ or not ‘focused’ on the job. But really, it’s not up to us to determine whether or not negligence is present. Finding negligence is the job of a legal professional or lawyer. All facts need to be considered and the right questions need to be asked and answered to find the truth. There is also contributory negligence. Contributory negligence is when an injured person was partially responsible for the workplace injury. For example, if he or she forgot to wear safety clothing, but the workplace was hazardous. Worker A was told to cut grass in a field. Another worker, Worker B was supposed to inspect the area for any items that needed to be cleared prior to the grass being cut. It wasn’t and as a result Worker A went to cut the grass and drove over a gas bottle causing an explosion. The explosion caused extensive injuries to his body including severe burns that would affect his skin for the rest of his life. As a result he would have stay out of the sun, wear special protective clothing and his life would never be the same again. This type of injury causes a huge amount of pain and suffering. Firstly in a physical sense and then there are the emotions that are affected too. These unfortunate experiences can have an impact on relationships and they are greatly affected. In addition there are also the financial strains upon an injured victim and their family when a household income is affected. While a common law claim may take longer to settle, it also takes into account future economic losses and expenses following your injury. It also awards you for pain and suffering. It also gives injured victims a sense of closure and some level of justice. When an employer accepts they were negligent, a victim can move on knowing that justice has been served. It also means that the employer may improve working conditions or take greater care of their workers in the future, which is something positive to come out of it. 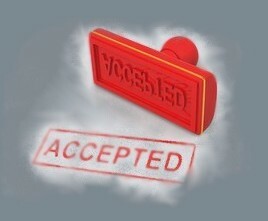 It is wise to never accept an offer or a lump sum from an insurer i.e. WorkCover unless you have spoken to a member of the Australian Injury Helpline by calling 1300 006 766. The Australian injury Helpline will arrange professional specialist advice from a lawyer if required. Details about your injury ? Please provide some facts including type of injury, date of injury, place of injury and cause of injury. If you have suffered a bad experience in the form of a workplace injury, dealing with being on workers comp, (work cover claim) as well as trying to recover from your injury, can be challenging in many ways. The financial aspect of not being able to work can be straining. You may start off on workers compensation full pay and then it changing to half pay at some point. This can be a financially stressful time – the last thing you need when you are injured, trying to rehabilitate and get your health back on track as best as you can. 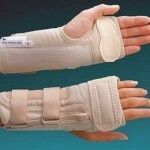 Then, once your injury has settled, it is then assessed by a Work Cover approved doctor. What happens during this medical is that a percentage of impairment is given by this particular doctor. This percentage will help Work Cover determine a lump sum payment to be offered to you. The percentage of impairment is only this one particular doctors’ opinion and even if they give you 0% you may still be entitled to a lump sum payment. Once a decision regarding lump sum payment is made an offer letter will be sent to you. At this point it is very important to get a second opinion before you sign or accept any offer. You can do so by calling the Australian Injury Helpline on 1300 006 766. Getting advice can make a huge difference to the amount you are awarded. For example, if your injury is permanent and as a result of someone elses’ negligence, you may be entitled to a common law claim (or negligence claim). This type of claim is only available if you have refused the lump sum or have not yet accepted. Once you have signed you may be signing away all rights to a common law claim. A common law claim is a lump sum payment that is much greater than a Work Cover claim lump sum. A common law claim takes into account any future losses as a result of your injury. This maybe your lost future earnings, future expenses and in some cases may be a difference between an award of $20,000 and over $100,000. It also takes into account your pain and suffering. A Work Cover claim does not consider this at all. 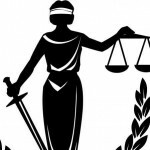 Lawyers–What If They Abuse Their Power? Lawyers in law firms, like any place where there is authority there are unfortunately a minority (we hope) of individuals who abuse it. Ever hear of the term ‘Good cop, bad cop’? where there is money and power there are opportunists lurking. You may have been through a major ordeal and after finding yourself a lawyer, you go onto find out that they are a crook. This is the last thing you need. A misplace of trust when so much lies at stake is a scary thought but don’t fret, there are options. So what should you do if you are with a lawyer who sadly, is not in the legal industry for the right reasons? By right reasons I mean to help people and not in it for the money or hungry for the power. Well, firstly you are able to change your lawyer at any time. Yes it may cost in extra law fees but if they are crooks they may overcharge you anyway – do you see my point? Just know there is a way out at any time and allow yourself to take it. As a client you have every right to proper legal services and to receive genuine help, not a headache. Like a bad marriage, you can leave at anytime. If you are in the process of looking for a law firm – do your homework! Well, firstly prevention is better than cure. Make every effort to avoid an unsavoury lawyer in the first place. You can do this by only going with one that is recommended. What if you don’t know anyone who has ever used a law firm? No worries. Call the Australian Injury Helpline on 1800 006 766. They will provide you with free information and put you in touch with law firms who specialise in your type of work compensation claim or car accident claim, will charge reasonably and treat you fairly. Dubious law firms and shifty lawyers – can they be avoided? Law firms are an interesting kettle of fish. I am not one to generalise considering myself to be an ‘open minded’ individual. 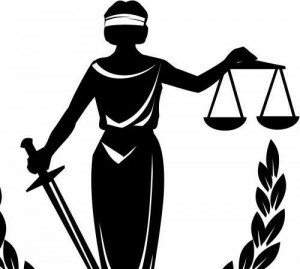 Old sayings like ‘Never trust a lawyer’ or ‘Never trust and arab’ are narrow-minded and based on an outdated and negative mass consciousness – aren’t they? Well I would like to think so but having dealt with lawyers first hand, they do have an element of ‘distrust’ around them. I’m not sure if it’s a case of; they are suspicious of everyone and everything and so their distrust reflects ours. Or, they are so emotionally detached from their work that we think they might not even be human! The bottom line is, no group of people can ever be the same – so we have to believe we will find a good one amongst the group. There may come a time when we need to engage the services of a law firm. One example is following work place injuries. In this situation a law firm can help us get the work compensation we legally and rightfully deserve, particularly in cases of negligence. If you are searching for a law firm to represent you, finding the right one can be challenging to say the least. But what if you engage one and they disappoint you or try to charge extortionately? I have put together a list of pointers to help you choose well, so you can avoid any dramas. Sharing the belief that all law firms are dodgy or all lawyers are shifty is not going to help your cause. You may help manifest that very scenario. Having a positive attitude about your lawyer will ensure a good relationship. A lawyer is there to help you and if you believe you will find a good one there is every chance you will. Be discerning and trust your instincts. One of my own sayings goes ‘If in doubt – don’t do it’. Appoint them only if it feels right. If you know someone who has been in the same situation i.e. a workplace accident caused by negligence, talk to them. Find out how they got on. Ask them if they were happy with the services of the law firm. If you don’t know anyone call the Australian Injury Helpline who offer a referral service to approved law firms. Ask them to explain the process clearly to you in terms of how they operate and how they charge. Many law firms offer ‘no win no fee’ services. Find out what this means. Some no win no fee arrangements can be a little misleading. With a greater understanding and all grey areas explained you will feel more comfortable. Faith and total trust in justice and that everything will turn out for the best can be a great help. The mind is a powerful tool and it can serve us well. Keep the faith and know you deserve justice and compensation. Some cases can take a long time and avoiding unnecessary stress or anxiety wherever you can is recommended. If you are not happy with your lawyer, also know you can change at any time. The Australian Injury Helpline can also help in this regard. Would you snitch on a friend? What would YOU do if your friend who is also a fellow worker caused an workplace accident? Whilst most of us would never want to snitch on a friend for fear they may be reprimanded or worse ‘sacked’ there is of course a shared duty of care shared among fellow workers. There is also the possibility you may lose them as a friend if you come forward with the truth. However, when a worker has caused a workplace accident, the injured victim and your employer has a legal and moral right to know. Firstly, it can affect their work compensation entitlements in a huge way. If the accident has caused a permanent injury they may be entitled to a common law claim. A common law claim (or negligence claim) is an award available outside of work compensation. It is a claim that takes into account future losses as well as past. For example, if your friend can never work again he or she may be awarded future loss of earnings under common law. Call 1800 006 766 and You May Maximise Your Compensation Claim Ten Fold! When a co-worker is negligent it means the permanent injury was caused by negligence. In order for a fellow worker to pursue a common law claim, negligence MUST be clearly proven for the workplace accident. If your fellow worker who caused the accident chooses not to come forward, it may mean the injured worker gets awarded less work compensation. A negligence claim is usually worth much more than a standard lump sum from a workers comp insurer (i.e. work cover) and can really help a person get their life back on track following a serious injury. They may have to modify their home, their car, and incur expenses such as rehabilitation and wheelchairs. Workplace injuries or workplace accidents can have a fatal impact on a persons’ life, so if you know your colleague caused the accident don’t we have a moral obligation to do the right thing? Health professionals are available with therapy options to help you adjust physically. Injury management may include physiotherapists, osteopaths and chiropractors. Take all the help that is available to you. Until your workplace injury has stabilised you will be reimbursed for these out of pocket expenses under the work compensation scheme. Quite often work compensation insurers dispute costs and if you have a dispute over medical expenses you can call the Australian Injury Helpline on 1800 006 766. Following injury management, after an injury has stablilised the work compensation insurer (i.e. work cover) may want to stop your payments and stop covering the expenses for rehabilitation. At this point, many people turn to Centrelink for financial support and may experience a significant reduction in income. If this is the case, you may want to discuss your circumstances with a workplace injuries lawyer and we can connect and refer you to a reputable law firm. Call 1800 006 766 for a free information pack on work compensation (workers comp), lump sum payments and common law claims. Work compensation insurers (i.e. work cover) may offer a lump sum payment for your injury, if it is permanent. However tempting it may be, if you accept an offer of work compensation in the form of a lump sum payment without getting a second opinion you may miss out on injury compensation options available to you. Compensation is your legal right. If you have sustained an injury that will affect you for the rest of your life, you are legally and rightfully entitled to work compensation. Always get a second opinion from an independent organisation to make sure you are receiving all your entitlements. Remember time limits do apply and you will need to make a claim within a certain period. It is very importmant to get advice on negligence and lump sum payments. See your doctor regularly and monitor your health cosely. Long term work injuries can have a detrimental impact on your health. Call the Australian Injury Helpline 1800 006 766 for the facts on injury compensation and any issues with the cost of your ongoing injury management. Workplace accidents can be serious and leave people with a permanent impairment after encountering workplace injuries. An important question you need to ask yourself is: “Was someone to blame for the workplace accident?”- if the answer is “yes” then the workplace accident could have been prevented. If the workplace accident was preventable, an employer, employee (or other party i.e. another business) may have been negligent and you may be entitled to a make a negligence claim or common law claim but this will depend on where your injury happened (i.e. which State or Territory). Even if you feel you were partly to blame for the workplace accident you may still have rights under common law and may be entitled to a common law claim which is another type of injury compensation claim this is known as contributory negligence. Call 1800 006 766 to find out more. Your rights to a common law claim will very much depend on where the injury happened and all States and Territories have different laws relating to common law claims and there may be thresholds in place. The law of negligence comes into play when someone else is to blame for the workplace accident, or even if steps were not taken to ensure a high standard of care this may still be considered negligence. Here is one example: A pizza shop is robbed and an employee suffers workplace injuries resulting in a permanent injury. The workplace injuries sustained means he cannot return to work and cannot work again. The pizza shop had been robbed before and since then nothing had been done to improve the level of security to protect the workers. If security had been improved the workplace injury may have been prevented and this is considered negligence. He may be awarded for past and future loss economic losses i.e. loss of earnings and expenses relating to his injury for the rest of his life, if he is young this could amount to a sufficient payout to help him financially through the years that follow. If you have a work cover claim and your injury is permanent you may be offered a lump sum payment. Never sign or accept an offer of a lump sum payment until you have called the Australian Injury Helpline, an independent organisation who will provide you with the facts and offer a second opinion. If you sign without speaking to a helpline or law firm you may be signing away your future rights to a common law claim and this could potentially be hundreds and thousands of dollars to assist you in years to come. A work compensation claim (i.e. through work cover) will reimburse you for past losses and expenses and does not take into account any future losses. If your injury is severe you may require ongoing care and attention and your future losses may be substantial. A common law claim does consider future losses and this is why it is usually a much larger payout and will help you more. If you suffer an injury as a result of another company’s negligence you can claim under common law and this would be a public liability claim for a slip, trip or a fall. Some States or Territories have different thresholds for common law claims and so the amounts awarded will vary. In one particular State negligence claims against employers are not allowed, but if injured whilst working by an employee of another company or another companys’ negligence can claim under common law. For more information call 1800 006 766. Workers comp is an abbreviation of ‘work compensation’ and it means the same. If you are receiving workers comp then you must have suffered a workplace injury and that may be a physical injury or a psychological injury. Psychological injuries are much more complex, but if it happened while you were at work then you ought to be entitled to workers comp. Work Compensation laws under the applicable Workers Compensation Acts across Australia vary from State to State. Where your injury took place will have a real bearing on where you stand legally and what your rights to workers comp are. To find out important information on work compensation call the Australian Injury Helpline on 1800 006 766. This independent organisation will provide you with the facts depending on where your workplace injury happened. If you need to speak with a lawyer, they also arrange specialist advice and their services are free. When workers suffer workplace injuries there are procedures that need to be followed. If you have any issues with your workers comp payments or if your claim is rejected call the Australian Injury Helpline. Even if your claim is accepted, call 1800 006 766. There are important facts you need to be aware of, particularly if your injury is likely to be permanent and happened as a result of someone else’s negligence. You may also be enitled to injury compensation under common law. Common law claims are of a larger nature as they take into account future enconomic losses. In some States or Territories you may or may not qualify for a common law claim. You may need specialist legal asdvice and the Australian Injury Helpline can point you in the right direction. By being in the know you can make sure you get everything to which you are entitled. Call us today on 1800 006 766 for an information pack on work compensation. For more information on compensation for an injury click here.